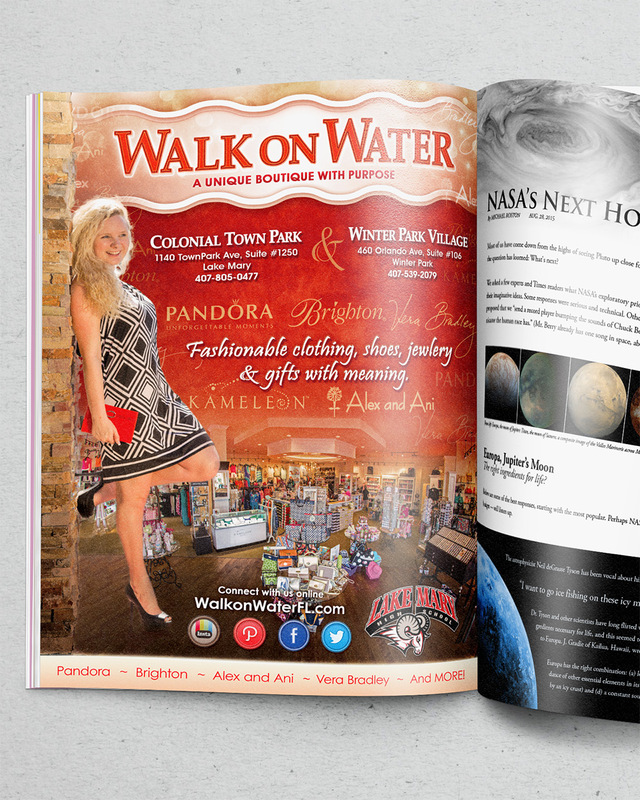 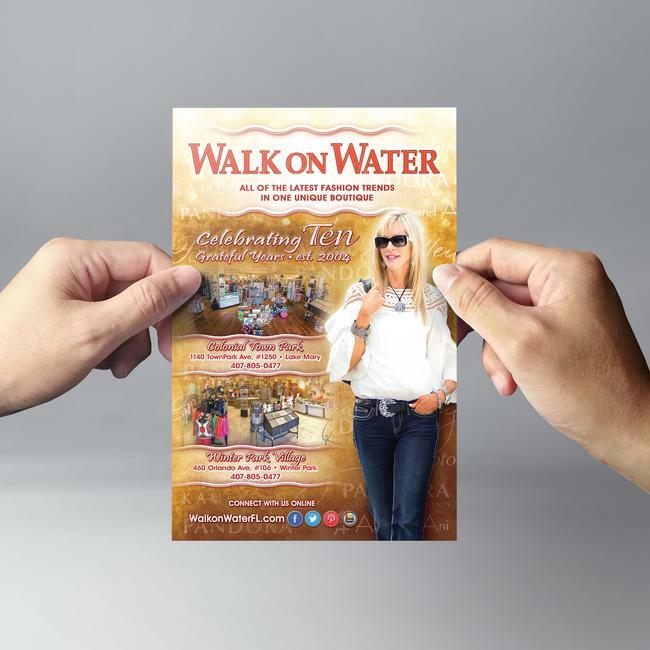 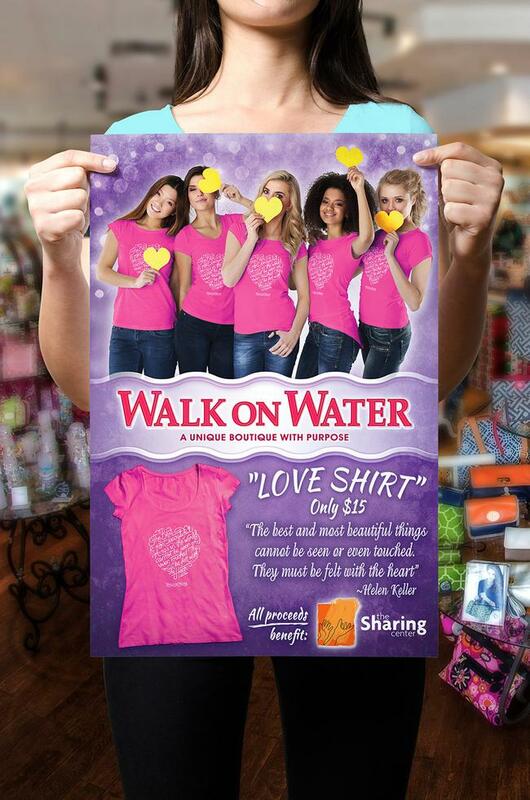 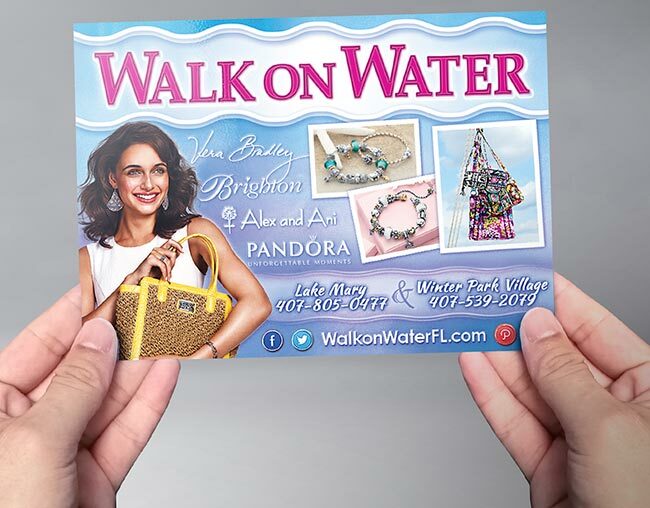 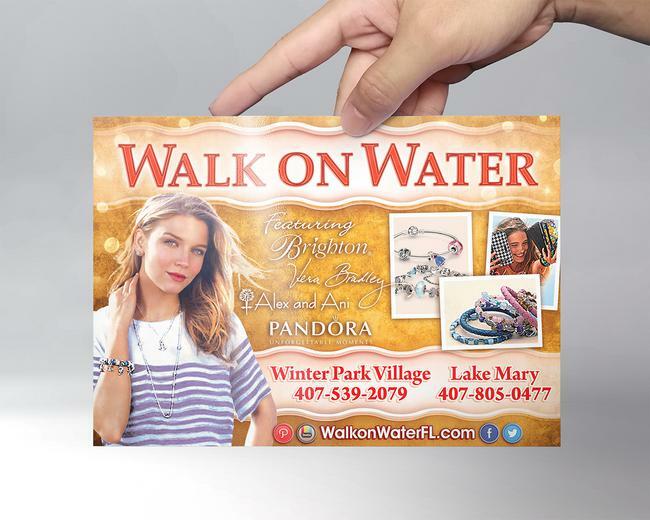 Walk on Water is a fashion company based in Orlando Florida. 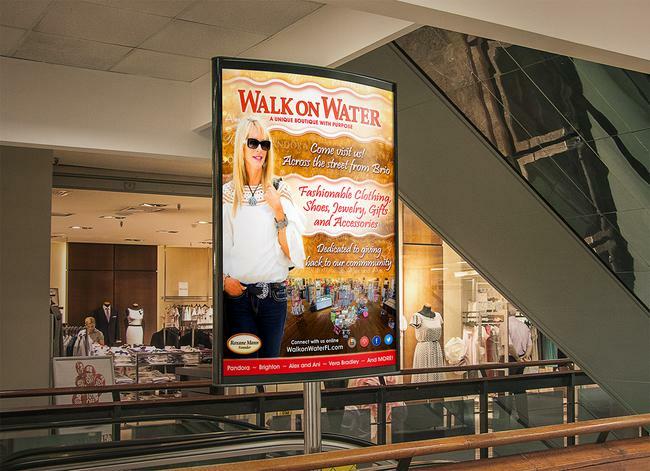 Through their local boutiques, they sell fashionable clothing, jewlry, accessories and gifts. 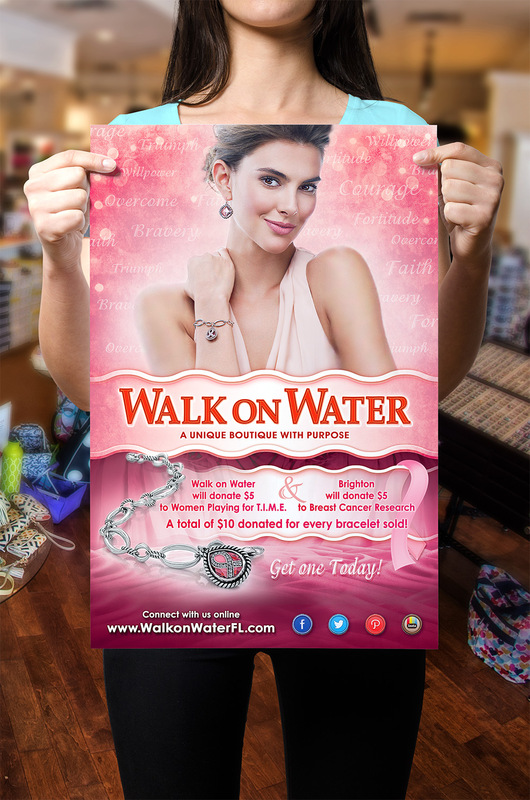 Much of the profit from these sales is then funneled back in to the community through support of charitable outreach efforts. 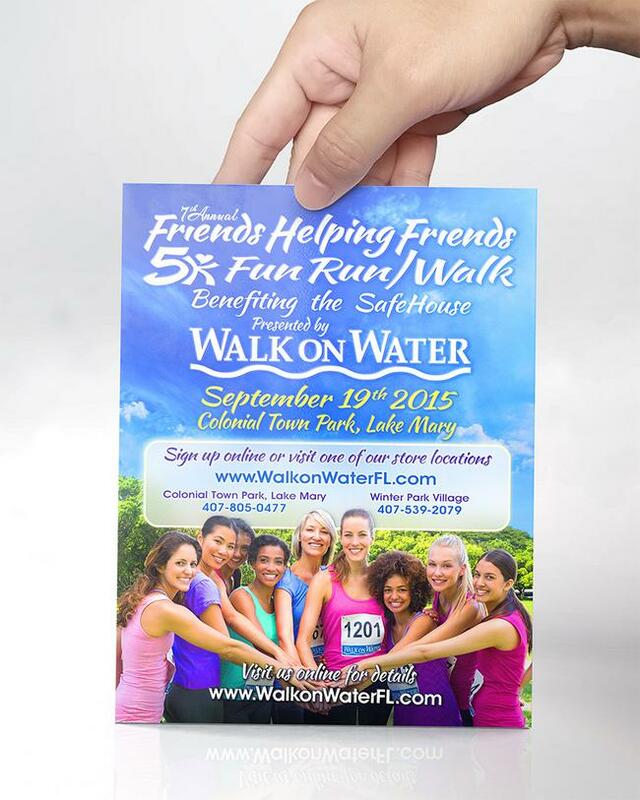 This includes many fund raising events such as fashion shows and an annual 5k. 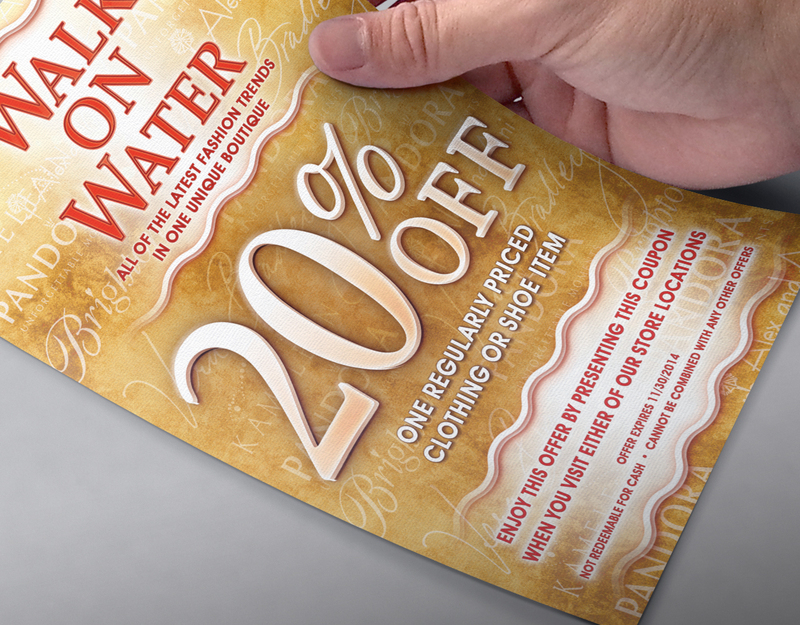 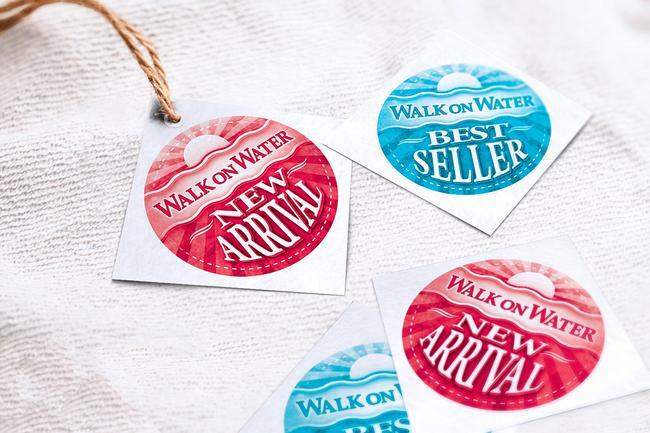 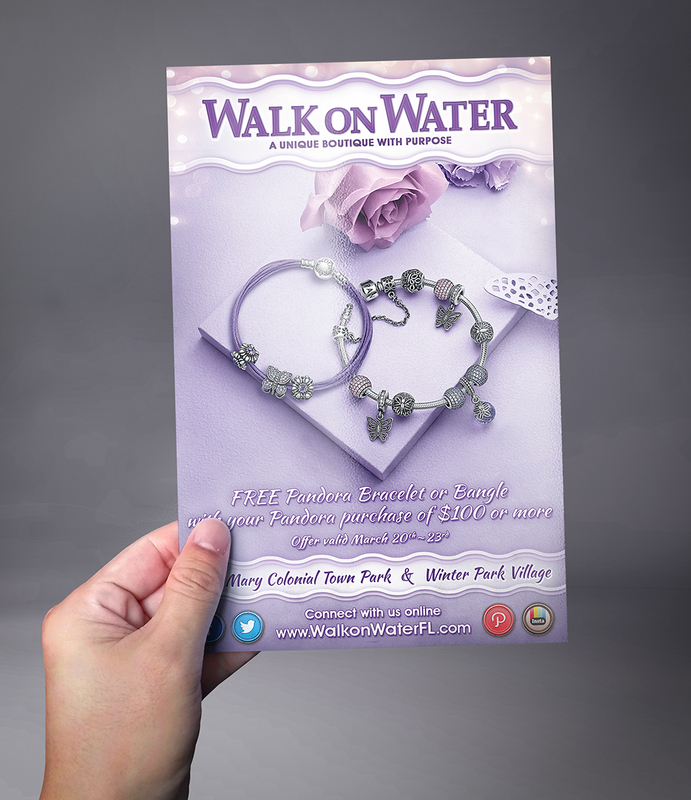 Create a branding style and image that’s recognizable, and adaptable for use throughout the various Walk on Water endeavors. 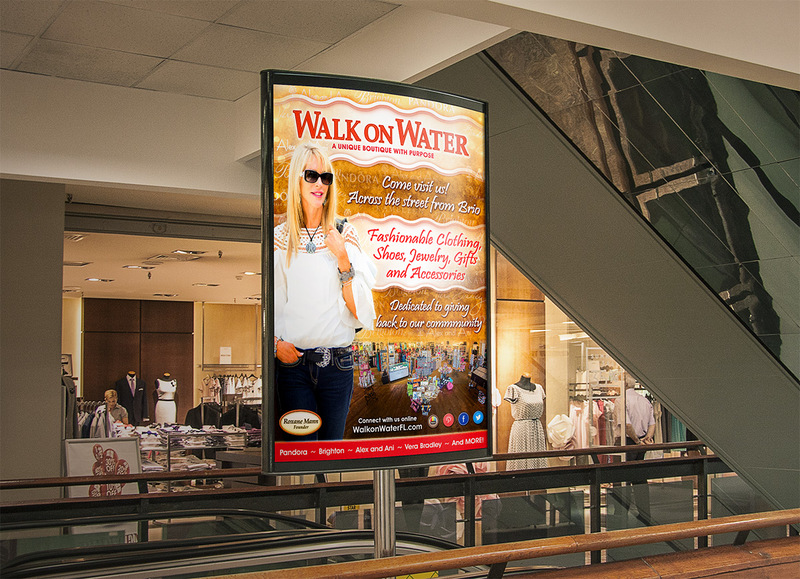 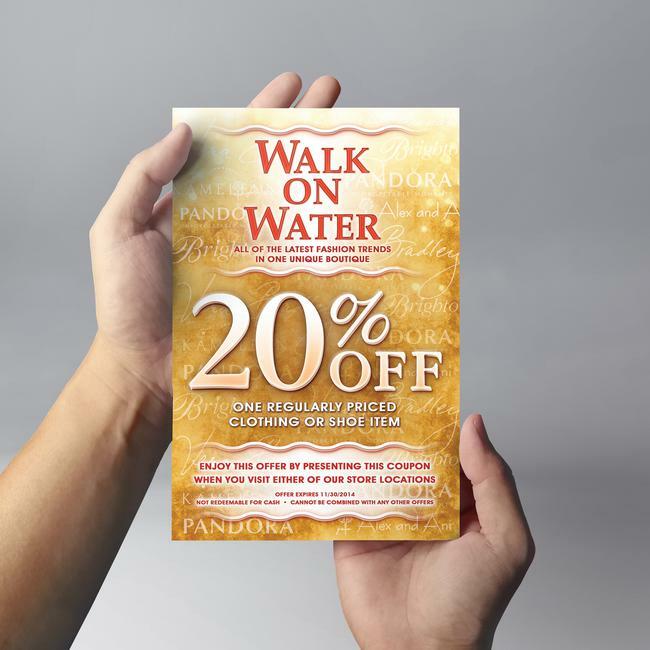 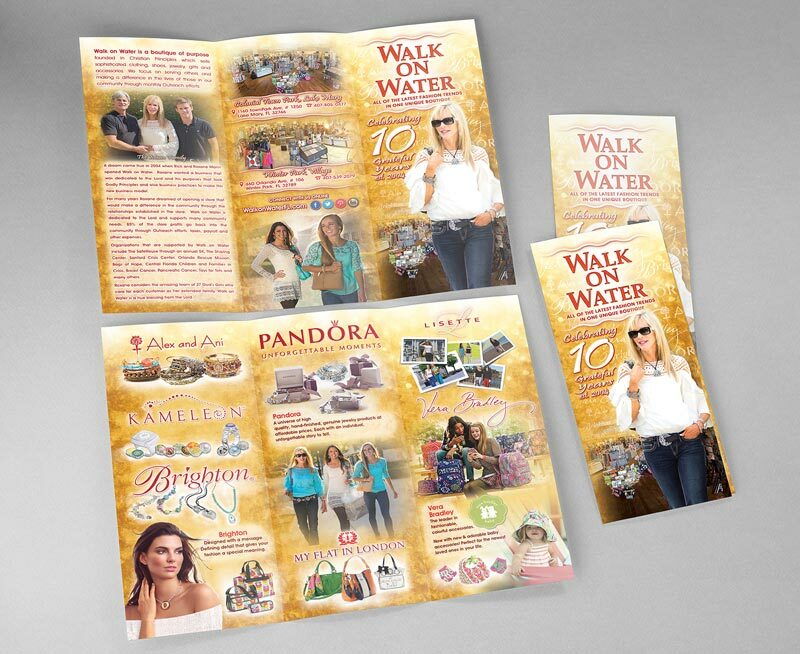 Gradully unify all marketing materials to adhere to this consistent image, while maintaining a balanced separation, between the Walk on Water stores and sponsored charity events.